A number of governments have treated Freemasonry as a potential source of opposition due to its secret nature and international connections. After the founding of modern speculative Masonry in England in 1717, several Protestant states restricted Masonic lodges: Holland banned the lodge in 1735; Sweden and Geneva, in 1738; Zurich, in 1740; and Berne, in 1745. Catholic Spain, Portugal, and Italy attempted to suppress Freemasonry after 1738. Bavaria followed in 1784; Austria, in 1795; Baden, in 1813; Russia, in 1822. It was also banned in Pakistan in 1972. Masonic scholar Paul Bessel has noted that the language used by modern totalitarian regimes is similar to that used by some other modern critics of Freemasonry. Freemasonry was persecuted in all the communist countries, but the organization has survived in Cuba, allegedly providing safe haven for dissidents. After the 1826 disappearance of William Morgan, who was allegedly kidnapped by Freemasons after publishing an expose and then apparently killed, the Morgan affair resulted in increased suspicion of Freemasonry and the formation of the Anti-Masonic Party. William A. Palmer of Vermont and Joseph Ritner of Pennsylvania were both elected governor of their respective states on anti-Masonic platforms. John Quincy Adams, President of the United States during the Morgan affair, later declared, objecting to the oath of secrecy, in particular to keeping undefined secrets, and to the penalties for breaking the oath, "Masonry ought forever to be abolished. It is wrong - essentially wrong - a seed of evil which can never produce any good." Though few states passed laws directed at Freemasonry by name, laws regulating and restricting it were passed and many cases dealing with Freemasonry were seen in the courts. Antimasonic legislation was passed in Vermont in 1833, including a provision by which the giving and willing taking of an unnecessary oath was made a crime. (Pub. Stat., sec. 5917), and the state of New York enacted a Benevolent Orders Law to regulate such organizations. In 1938, a Japanese representative to the Welt-Dienst / World-Service congress hosted by Ulrich Fleischhauer stated, on behalf of Japan, that "Judeo-Masonry is forcing the Chinese to turn China into a spearhead for an attack on Japan, and thereby forcing Japan to defend herself against this threat. Japan is at war not with China but with Freemasonry (Tiandihui), represented by General Chiang Kai-shek, the successor of his master, the Freemason Sun Yat-sen."
Freemasonry was outlawed in the Soviet Union during the Communist era and suppressed throughout Central Europe (Hungary and Czechoslovakia). Benito Mussolini decreed in 1924 that every member of his Fascist Party who was a Mason must abandon either one or the other organization, and in 1925, he dissolved Freemasonry in Italy, claiming that it was a political organization. One of the most prominent Fascists, General Cappello, who had also been Deputy Grand Master of the Grande Oriente, Italy's leading Grand Lodge, gave up his membership in the Fascist Party rather than in Masonry. He was later arrested on false charges and sentenced to 30 years in jail. In 1919, Béla Kun proclaimed the dictatorship of the proletariat in Hungary and Masonic properties were taken into public ownership. After the fall of the dictatorship of the proletariat the leaders of counter-revolution as Miklós Horthy blamed the Hungarian freemasons for their First World War defeat and for the revolution. Masonry was outlawed by a decree in 1920. This marked the start of raids by army officers on Masonic lodges along with theft, and sometimes destruction, of Masonic libraries, records, archives, paraphernalia, and works of art. Several Masonic buildings were seized and used for anti-Masonic exhibitions. Fortunately, the masonic documents were archived, preserved and may still used for research. In post war Hungary, lodges were re-established, but after five years the government described them as "meeting places of the enemies of the people's democratic republic, of capitalistic elements, and of the adherents of Western imperialism". They were banned again in 1950. The Nazis claimed that high-degree Masons were willing members of the Jewish conspiracy and that Freemasonry was one of the causes of Germany's defeat in World War I. In Mein Kampf, Adolf Hitler wrote that Freemasonry has succumbed to the Jews and has become an excellent instrument to fight for their aims and to use their strings to pull the upper strata of society into their designs. He continued, "The general pacifistic paralysis of the national instinct of self-preservation begun by Freemasonry" is then transmitted to the masses of society by the press. In 1933 Hermann Göring, the Reichstag President and one of the key figures in the process of Gleichschaltung ("synchronization"), stated "in National Socialist Germany, there is no place for Freemasonry". Loge „Libanon zu den 3 Zedern“ in Erlangen, Germany. First meeting after World War II with guests from USA, France and Czechoslovakia, May 1948. The Enabling Act (Ermächtigungsgesetz in German) was passed by Germany's parliament (the Reichstag) on March 23, 1933. Using the Act, on January 8, 1934, the German Ministry of the Interior ordered the disbandment of Freemasonry, and confiscation of the property of all Lodges; stating that those who had been members of Lodges when Hitler came to power, in January 1933, were prohibited from holding office in the Nazi party or its paramilitary arms, and were ineligible for appointment in public service. Consistently considered an ideological foe of Nazism in their world perception (Weltauffassung), special sections of the Security Service (SD) and later the Reich Security Main Office (RSHA) were established to deal with Freemasonry. Freemasonic concentration camp inmates were graded as political prisoners, and wore an inverted (point down) red triangle. On August 8, 1935, as Führer and Chancellor, Adolf Hitler announced in the Nazi Party newspaper, Voelkischer Beobachter, the final dissolution of all Masonic Lodges in Germany. The article accused a conspiracy of the Fraternity and World Jewry of seeking to create a World Republic. In 1937 Joseph Goebbels inaugurated an "Anti-Masonic Exposition" to display objects seized by the state. The Ministry of Defence forbade officers from becoming Freemasons, with officers who remained as Masons being sidelined. During the war, Freemasonry was banned by edict in all countries that were either allied with the Nazis or under Nazi control, including Norway and France. Anti-Masonic exhibitions were held in many occupied countries. Field-Marshal Friedrich Paulus was denounced as a "High-grade Freemason" when he surrendered to the Soviet Union in 1943. The preserved records of the RSHA—i.e., Reichssicherheitshauptamt or the Office of the High Command of Security Service, which pursued the racial objectives of the SS through the Race and Resettlement Office—document the persecution of Freemasons. The number of Freemasons from Nazi occupied countries who were killed is not accurately known, but it is estimated that between 80,000 and 200,000 Freemasons were murdered under the Nazi regime. In 1736 the Florentine Inquisition investigated a Masonic Lodge in Florence, Italy, and the Lodge was condemned in June 1737 by the Chief Inquisitor in Rome. The lodge had originally been founded by English Masons, but accepted Italian members. In 1738, Pope Clement XII issued In eminenti apostolatus, the first Papal prohibition on Freemasonry. A more contemporary call for suppression is found in the encyclical Humanum genus, which calls Masonry a dangerous sect and demands that all bishops be vigilant on its abuses. It is claimed that the dictator Miguel Primo de Rivera ordered the abolition of Freemasonry in Spain. In September 1928, one of the two Grand Lodges in Spain was closed and approximately two-hundred (200) masons, most notably the Grand Master of the Grand Orient, were imprisoned for allegedly plotting against the government. Following the military coup of 1936, many Freemasons trapped in areas under Nationalist control were arrested and summarily killed in the White Terror (Spain), along with members of left wing parties and trade unionists. It was reported that Masons were tortured, garroted, shot, and murdered by organized death squads in every town in Spain. At this time one of the most rabid opponents of Freemasonry, Father Juan Tusquets Terrats, began to work for the Nationalists with the task of exposing masons. One of his close associates was Franco’s personal chaplain, and over the next two years, these two men assembled a huge index of 80,000 suspected masons, even though there were little more than 5,000 masons in Spain. The results were horrific. Among other countless crimes, the lodge building in Cordoba was burnt, the Masonic Temple of Santa Cruz de Tenerife in the Canary Islands was confiscated and transformed into the headquarters of the Falange, and another was shelled by artillery. In Salamanca thirty (30) members of one lodge were shot, including a priest. Similar atrocities occurred across the country: fifteen (15) masons were shot in Logrono, seventeen (17) in Ceuta, thirty-three (33) in Algeciras, and thirty (30) in Valladolid, among them the Civil Governor. Few towns escaped the carnage as Freemasons in Lugo, Zamora, Cadiz and Granada were brutally rounded up and shot, and in Seville, the entire membership of several lodges were butchered. The slightest suspicion of being a mason was often enough to earn a place in a firing squad, and the blood-letting was so fierce that, reportedly, some masons were even hurled into working engines of steam trains. By 16 December 1937, according to the annual masonic assembly held in Madrid, all masons that had not escaped from the areas under nationalist control had been murdered. 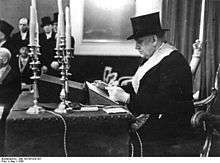 After the victory of dictator General Francisco Franco, Freemasonry was officially outlawed in Spain on 2 March 1940. Being a mason was automatically punishable by a minimum jail term of 12 years. Masons of the 18º and above were deemed guilty of ‘Aggravated Circumstances’, and usually faced the death penalty. According to Francoists, the Republican Regime which Franco overthrew had a strong Masonic presence. In reality Spanish Masons were present in all sectors of politics and the armed forces. At least four (4) of the Generals who supported Franco's rebellion were Masons, although many lodges contained fervent but generally conservative Republicans. Freemasonry was formally outlawed in the Law for the Repression of Freemasonry and Communism. After Franco's decree outlawing masonry, Franco's supporters were given two months to resign from any lodge they might be a member. Many masons chose to go into exile instead, including prominent monarchists who had whole-heartedly supported the Nationalist rebellion in 1936. The common components in Spanish Masonry seems to have been upper or middle class conservative liberalism and strong anti-clericism. "The whole secret of the campaigns unleashed against Spain can be explained in two words: masonry and communism... we have to extirpate these two evils from our land." It was the Unlawful Societies Act of 1799 that saw the first statute "for the more effectual suppression of societies established for seditious and treasonable purposes"; once enacted it affected all societies whose members were required to take an oath not authorised by law, shall be deemed "unlawful combinations." It was as a result of the intervention of the Grand Master of the Antients, The 4th Duke of Atholl, and the Acting Grand Master of the Moderns, the earl of Moira that a special exempting clause was inserted into this legislation in favour of societies "held under the Denomination of Lodges of Freemasons" provided that they had been "usually held before the Act" and their names, places and times of meeting and the names of the members were annually registered with the local Clerk to the Justices of the Peace. This continued on until 1967 when this Act was repealed by a section of the Criminal Justice Act which meant that the annual returns of all the Lodges to the authorities ceased. Since 1997, several members of the British Government have attempted to pass laws requiring Freemasons who join the police or judiciary to declare their membership publicly to the government amid accusations of Freemasons performing acts of mutual advancement and favour-swapping. This movement was initially led by Jack Straw, Home Secretary from 1997 until 2001. In 1999, the Welsh Assembly became the only body in the United Kingdom to place a legal requirement on membership declaration for Freemasons. Currently, existing members of the police and judiciary in England are asked to voluntarily admit to being Freemasons. However, all first time successful judiciary candidates "must declare their freemasonry status" before appointment. Conversely, new members of the police are not required to declare their status. In 2004, Rhodri Morgan, the First Minister of the Welsh Assembly, said that he blocked Gerard Elias' appointment to counsel general because of links to hunting and freemasonry, although it was claimed by non-Labour politicians that the real reason was in order to have a Labour supporter, Malcolm Bishop, in the role. After the condemnation of Freemasonry by Clement XII in 1738, Sultan Mahmud I followed suit outlawing the organization and since that time Freemasonry was equated with atheism in the Ottoman Empire and the broader Islamic world. The opposition in the Islamic world has been reinforced by the anticlerical and atheistic slant of the Grand Orient of France. On July 15, 1978, the Islamic Jurisdictional College—one of the most influential entities that interpret Sharia, or Islamic law—issued an opinion that deemed Freemasonry to be "dangerous" and "clandestine". After World War I, while under the British Mandate, Iraq used to have several lodges. This all changed with the 14 July Revolution in 1958, however, with the abolition of the Hashemite Monarchy and Iraq's declaration as a republic. The licences permitting lodges to meet were rescinded, and later, laws were introduced banning any further meetings. This position was later reinforced under Saddam Hussein the death penalty was "prescribed" for those who "promote or acclaim Zionist principles, including freemasonry, or who associate [themselves] with Zionist organizations". 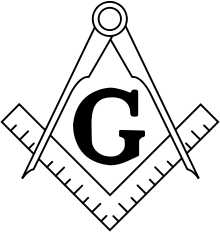 Freemasonry is illegal in all Arab countries except Lebanon and Morocco. ↑ Whalen, W.J., "Freemasonry" The New Catholic Encyclopedia (1967) article hosted at trosch.org. Retrieved 2011-10-19. 1 2 3 4 5 Bessel, Paul M. (November 1994). "Bigotry and the Murder of Freemasonry". Retrieved 2011-10-19. 1 2 Whalen, W.J., "Freemasonry" The New Catholic Encyclopedia (1967) article hosted at trosch.org. Retrieved 2011-10-19. "Soviet Russia outlawed Masonry in 1922. Freemasonry does not exist today in the Soviet Union, China, or other Communist states. Postwar revivals of Freemasonry in Czechoslovakia and Hungary were suppressed in 1950." ↑ Ridley, Jasper;The Freemasons: A History of the World's Most Powerful Secret Society, pp. 180-181 (Arcade Publishing 1999). ↑ Finney, Charles Grandison; The Character, Claims, and Practical Workings of Freemasonry. ↑ Adolf Hitler, Mein Kampf, pages 315 and 320. ↑ The Enabling Act Accessed February 23, 2006. ↑ The Encyclopedia of the Holocaust, volume 2, page 531, citing Katz, Jews and Freemasons in Europe. ↑ Bro. E Howe, Freemasonry in Germany, Quatuor Coronati Lodge, No 2076 (UGLE), 1984 Yearbook. ↑ Hodapp, Christopher (2013). Freemasonry for Dummies, 2. Edition. Wiley Publishing Inc. ISBN 1118412087. 1 2 Scanlan, Matthew. "Freemasonry and the Spanish Civil War: Part I, the Path to War". Retrieved 19 August 2009. ↑ Bowen, Wayne H. (2006). Spain during World War II. University of Missouri press. p. 249. ↑ "Saddam To Be Formally Charged". Washington Times. 1 July 2004.